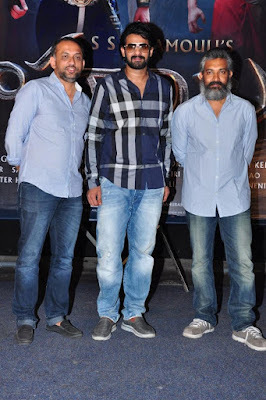 Shobu Yarlagadda, one of the producers of S.S Rajamouli’s Baahubali franchise, said actor Prabhas’ commitment for the project came with no strings attached. On Friday, Prabhas completed shooting his portion for “Baahubali: The Conclusion”, thereby relieving himself from the franchise after three and a half years. The actor plays the role of Shivudu and Amarendra Baahubali in the first film. Prabhas’ intensity and physique had film buffs from all over India swooning over him and how. The actor has put in a lot of efforts for Baahubali 2 including increasing his weight to a reported 130-150 kgs. Sounds unbelievable, doesn’t it? He was weighing close to 100 kgs in the first part. Prabhas did not take up any film for three years as he could not switch his physicality while doing Baahubali. As per rumours, he also postponed his wedding. Producer Shobu Yarlagadda tweeted his appreciation for Prabhas and Rana Daggubati. The second part in the franchise is gearing up for April 28 release. The principal shooting of “Baahubali: The Conclusion” was wrapped up on Friday. Baahubali 2 promises to be a historic film for the Telugu film industry as was the first one of the franchise. Shobu Yarlagadda is the son-in-law of famous Telugu producer K Raghavendra Rao. He is co-founder of Arka Mediaworks with Prasad Devinini. So far, he has made films like Vedam, Maryada Ramanna, Panjaa all of which are blockbusters. However, Baahubali made him a known name over India.